When Orlando residents need to go out of town on business, or have a vacation scheduled, many opt to drive to the Orlando Airport and leave their cars in long term parking areas. This might make perfect sense to some however; bad things can happen to cars when they are left in airport parking garages. In all honesty, people’s personal cars get stolen from airports all around the country every day. Other travelers accidentally scratch or dent them as well, and few bother to leave a note with their information because they know they can get away with it. Even more are vandalized or broken into by nary do wells who want whatever you have in your vehicle. Hiring luxury limo services for airport transportation in Orlando can help to protect the money you’ve invested in your car. Luxury Transportation Group provides the highest quality Orlando Airport limo transportation for both residents and vacationers. Considering most quality hotels in Orlando offer a variety of shuttle busses to get their guests to and from the theme parks, renting cars at the airport can be unnecessary expenses. 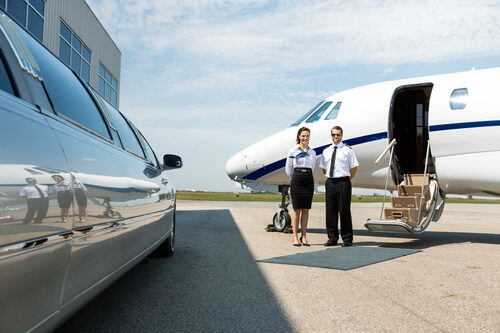 The costs of the rental, insurance, fuel and parking aren’t much different than hiring luxury limo services for airport transportation in Orlando. Luxury Transportation Group offers luxury limo services for Orlando Airport to both residents and vacationers to the city. Luxury Transportation Group is the premiere provider of all types of luxury limo services, including Orlando Airport limo transportation. From luxury limo services for shopping trips to sporting event limo services and wedding limousines, LTG Orlando does it all. Be sure to book your luxury limo services for airport transportation in Orlando early to ensure that the car you want is available.